A field of industrial hemp. With the proliferation of legalization, hemp has garnered renewed interest from both the scientific community and from industry. MINNEAPOLIS — The cannabis plant has myriad uses, from paper, fabric and even fuel that can be created from industrial hemp, to the many health conditions which benefit from medical marijuana. Here’s one more benefit to add to the list: removing toxic metals and even radiation from soil. The process of using plants to clean polluted soil is called phytoremediation. According to a 2014 report from Nation of Change’s Christina Sarich, two members of the mustard family are more frequently used in phytoremediation, but cannabis has shown some promise because of its hardiness to toxins and quick growth rates. Some have even considered using it near Fukushima. A group of representatives of Consolidated Growers and Processors, PHYTOTECH, and Ukraine’s Institute of Bast Crops experimented in the late 1990s with using industrial hemp, a form of the plant that’s high in fiber but low in psychoactive or medical benefits, near the site of the Chernobyl nuclear disaster, where a great deal of agricultural land is still unusable because of the presence of radiation and heavy metals still lingering from the 1986 meltdown. “Hemp is proving to be one of the best phyto-remediative plants we have been able to find,” said Slavik Dushenkov, a research scientist with PHYTOTECH. In 2009, scientists from Belarus also experimented with hemp in areas polluted by Chernobyl. The disaster contaminated nearly 20 miles around the site. 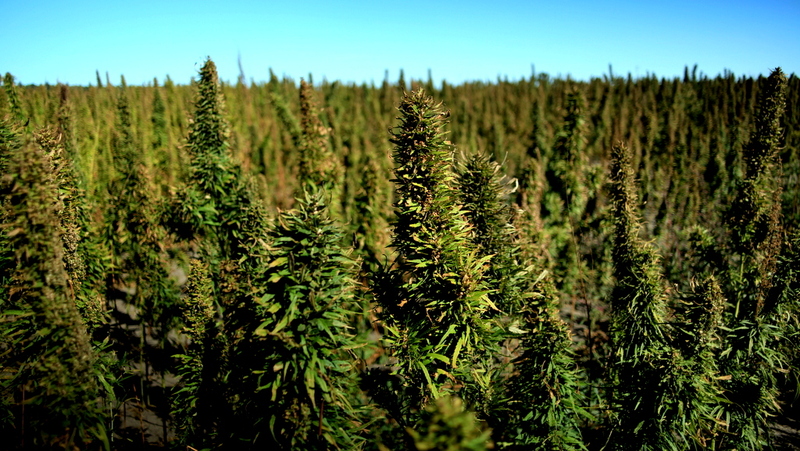 The Belarusian scientists noted that one added benefit of industrial hemp over other phytoremediation plants is that it can also be used to produce biofuel, potentially adding a second use for the crop after it removes toxins from the soil. “As with the Chernobyl incident, scientists are finding radioactive emissions and toxic metals–including iodine, cesium-137, strontium-90, and plutonium–concentrated in the soil, plants, and animals of Japan, but also now throughout the United States and all along the West Coast – from Canada to Mexico,” Sarich wrote for Nation of Change.